NEW David Sheldon art on CHRONICLE BOOKS card game set! It is FUN for the whole family! 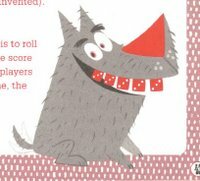 A new CARD GAME from CHRONICLE BOOKS Illustrated by my pal DAVID SHELDON! David did the wonderful cover for my CD RICK GOLDSCHMIDT SINGS and is a gifted artist ! 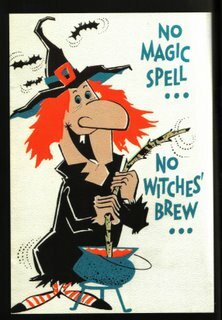 Check out his website at www.dksheldon.com for more of his sensational art! 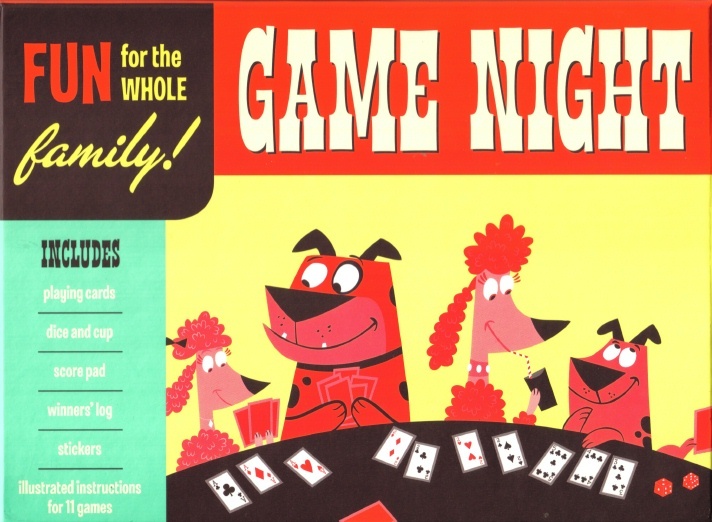 If you like card games, this box set is for you with 11 classic games and many variations on old favorites! Also, look for another book he illustrated called PIG GIGGLES & RABBIT RHYMES! 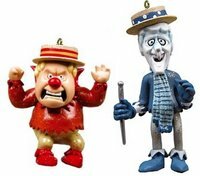 EXCLUSIVE MISER BROS ornament set with a book purchase at AMAZING FANTASY BOOKS & COMICS! This is the EXCLUSIVE www.timeandspacetoys.com MISER BROS ornament set you will get FREE (A $15.99 value) with a signed book purchase of THE MAKING OF THE RANKIN/BASS HOLIDAY CLASSIC: RUDOLPH THE RED-NOSED REINDEER (MISER BROS PRESS) 11-24 at AMAZING FANTASY BOOKS & COMICS 15948 S. Harlem Avenue, Tinley Park, IL 60477 708-633-0837 between 5-7pm! ENJOY! 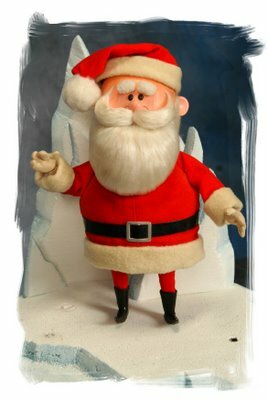 You can also take your picture near the original on-screen RANKIN/BASS RUDOLPH & SANTA ANIMAGIC figures just before it airs on CBS! Hope to see you there!!! NOVEMBER is here and busier than ever for me! Lots of planning going into the CHICAGO appearances of RUDOLPH & SANTA! I heard from RICH KOZ (Chicago's SVENGOOLIE) and he let me know that on SATURDAY, November 25th on WCIU ch. 26 The U and ME-TV he will be showing the film DRACULA'S DAUGHTER. He will be showing a clip at the end of the show that will feature our SANTA CLAUS (Tom Frederick) and our www.timeandspacetoys.com booth from this past August at the WIZARD WORLD CON! We did do some interviews at the booth and there were cameras rolling BUT we had no idea what shows they would be on. We had alot of fun at the CON! THANKS Rich! 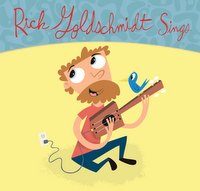 ILLINOIS ENTERTAINER 'Around Hear' REVIEW of RICK GOLDSCHMIDT SINGS! 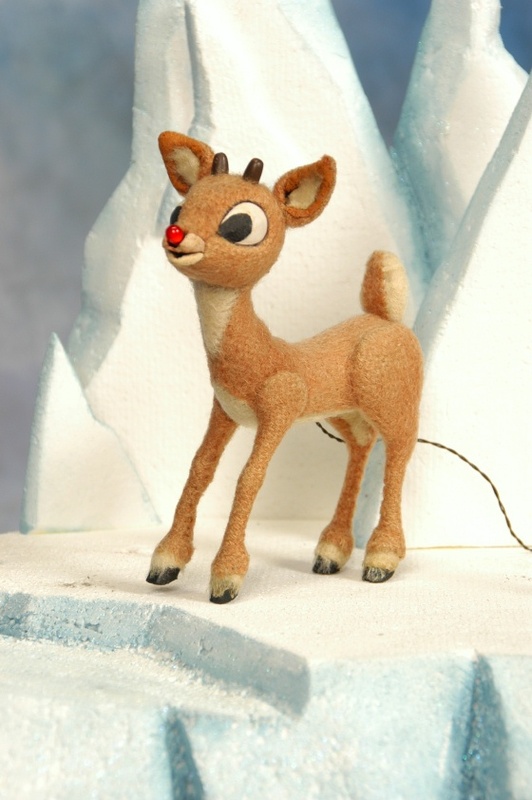 RUDOLPH on CBS November 30th! 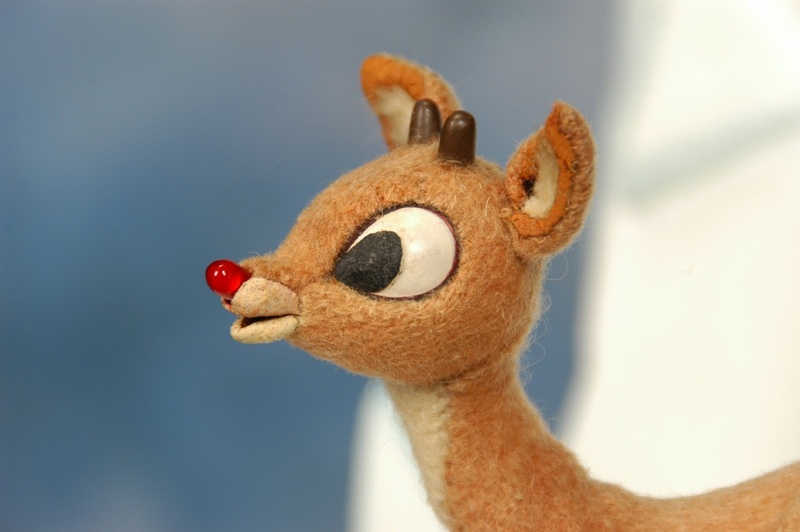 The CBS website states RUDOLPH will air Wednesday November 30th (BUT November 30th is a Thursday). I am pretty sure it will air ON the 30th! Hopefully more NEWS shows will pick up the original ANIMAGIC figures' visit to CHICAGO on the 24th! Then it is on to PITTSBURGH the weekend of the 2nd and 3rd. December 8th will see the opening of their visit to the CENTER OF PUPPETRY ARTS in Atlanta, Georgia. You may also be interested in reading my updates at www.tvparty.com . The NEWS at www.rankinbass.com is getting caught up THANKS to MARK SYKORA! AND no...looks like THE LIFE AND ADVENTURES OF SANTA CLAUS is not coming out on DVD...WARNER BROTHERS dropped the ball on a box set. I talked with FOX MORNING NEWS and they are interested in having us on the day after THANKSGIVING as well! We need to work the timing out. My book THE MAKING OF THE RANKIN/BASS CLASSIC: RUDOLPH THE RED-NOSED REINDEER (MISER BROS PRESS) is still available at www.amazon.com and www.rankinbass.com and will soon be available at BARNES & NOBLE. I am trying hard to get my first book THE ENCHANTED WORLD OF RANKIN/BASS: A PORTFOLIO into a 3rd printing! 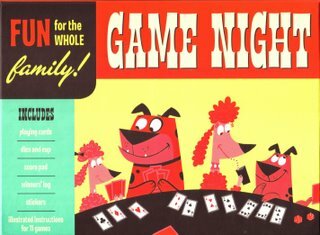 I listed some more RANKIN/BASS archive CDs on EBAY under seller ANIMAGIC1 the other day. More NEWS to come! HAPPY HALLOWEEN! RUDOLPH is guiding Santa's way to CHICAGO for THANKSGIVING! RUDOLPH THE RED-NOSED REINDEER is having THANKSGIVING Dinner with me this year and the following day we are sharing him and SANTA with CHICAGO! Then he is off to PITTSBURGH for a collector's show the following weekend (Check www.timeandspacetoys.com for details) and he will spend CHRISTMAS at the CENTER FOR PUPPETRY ARTS in Atlanta, GA with out friend ALAN LOUIS! For a reindeer who has been on ice for years...he is really getting around! This is his second trip to CHICAGO this year! I am on VACATION this week (I always take the week of HALLOWEEN off)! It started out with alot of work. 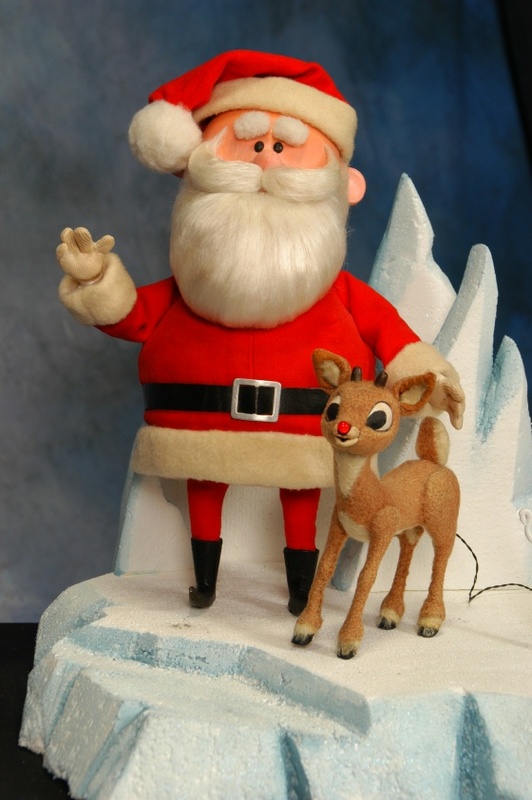 I am getting ready for the original RUDOLPH & SANTA ANIMAGIC figures visiting for THANKSGIVING! Here is what I know for sure so far: We will be on WGN MORNING NEWS 11-24 at 7:50AM! We will be meeting RANKIN/BASS Musical composer MAURY LAWS for lunch! 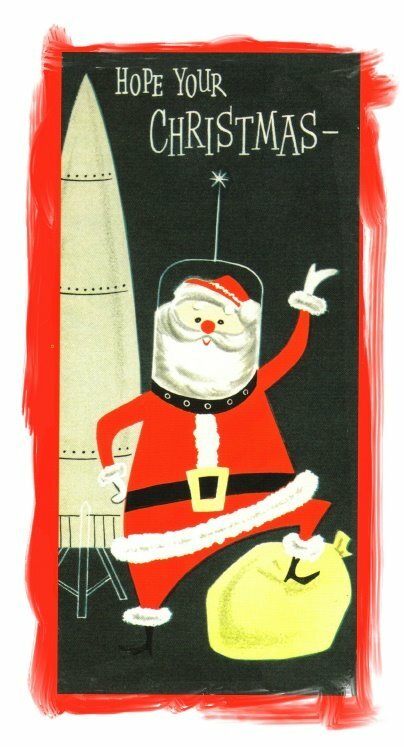 Then KEVIN KREISS www.timeandspacetoys.com and I will be with RUDOLPH & SANTA at AMAZING FANTASY BOOKS & COMICS 15948 S. Harlem Avenue, Tinley Park, IL 60477 from 5-7pm at a book signing! With every book purchase you get a TIME & SPACE TOYS exclusive ornament set of the HEAT & SNOW MISER!!! We may also be on METROMIX, CLTV NEWS, FOX MORNING NEWS, WTTW'S CHICAGO TONIGHT, etc. I will keep you posted! I will also be on the radio circuit again this Holiday season and will keep you posted here as bookings happen.